88 percent of homebuyers begin the process online, looking at pictures on the listing site. Good photos and real curb appeal help entice buyers to check out your house in person. You want to make a great first impression, so don't feel scared to make a statement -- you want buyers to fall in love with your house. The fixes below are minor and budget friendly enhancements that can be done in a day to help make your house more inviting and appealing, and help get potential buyers to schedule a showing! The entry is a huge focal point for potential buyers, especially when it's one of the first things they see. Create appeal by cleaning the front door -- wipe it down, remove dirt, update the color with some paint. 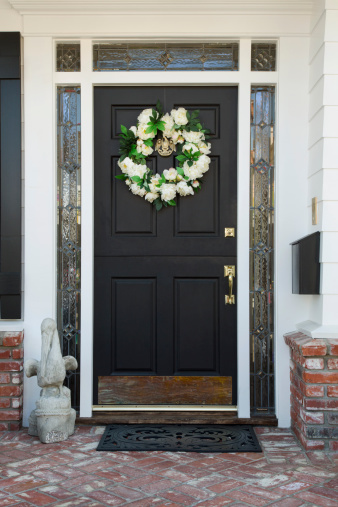 The front door should play off a home's interior: add a kick plate, swag or a seasonal wreath to reflect the interior style of the house. It is known that humans find symmetry beautiful – symmetry is attractive to the human eye, especially in nature. Symmetry is also appreciated in the design world for its familiarity, balance and it works with every style. 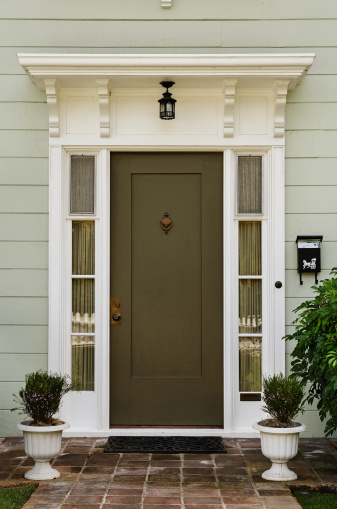 Using symmetry to entice potential buyers is a quick and cost-friendly tool to the home seller: compose light fixtures, plants and front-door accents based on symmetry to create welcoming and inviting entryways and boost the house's curb appeal. If you have a mailbox, it can be a great way to accent your house and add a little touch of personality. If you're going to replace the box, pick one that mimics the style and trim of the house. You also have the option of dressing up a mail box by painting the post to match the house's exterior color, or you can surround it with flowers or other plants. A quick, easy, and budget friendly way of adding appeal to the outside of your house is to add outdoor lighting. Outdoor lighting adds a little something extra, and it can also provide safety and security. Homeowners have many options for lighting, from wired to solar, and lights can be purchased at many retailers and hardware stores. Install landscape lighting along paths and trees. Pets, animals, weather and other events at your house can take a toll on your yard's grass, and most buyers will notice a lawn that looks like it's on its last leg. Cut out any dead spots and replace with sod, or, if you have time, replant with seed. If you live in a non-drought area, turn on the sprinklers: a lawn needs at least 1" to 1 ½" of water per week and should be watered deeply 2-3 times per week. 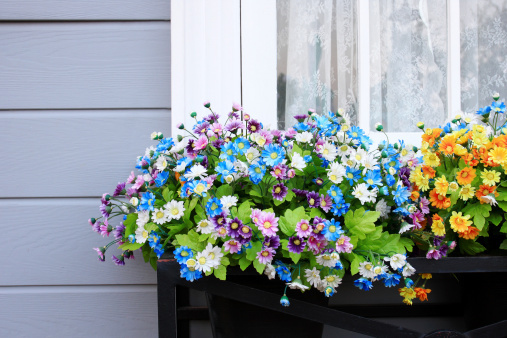 Window boxes can be a really budget friendly way to liven up the outside of a house. They help play up windows, and they can add a pop of color by way of plants or flowers. For a traditional look, choose boxes made of copper or iron, and pick painted wood for more of a cottage feel. Use a window box to play with flowers that will suit the lighting in the yard and the color scheme of the outside. Poorly maintained planters and flower beds can be a big letdown to potential buyers – especially when many view poor upkeep as an indication of what a house may look like inside. Be sure to prune overgrowth, pull weeds, plant extra flowers and add new mulch to restore life and color depleted by the sun and harsh weather. 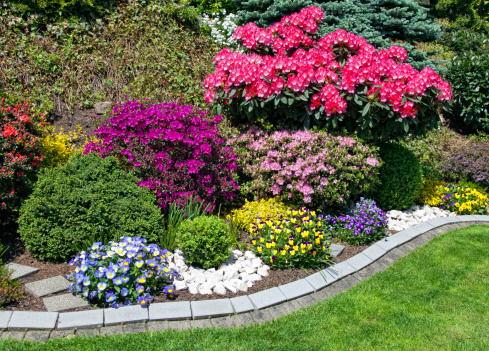 Adding a border around flower beds or along paths can be a great addition, and budget friendly. If your yard already has a border, clean and restore pieces that are worn or upgrade the stone altogether. Another budget friendly fix you can do in less than a day is pressure washing any dirty siding, decks, patios, driveway or sidewalks. A pressure washer can be rented at any home improvement store for a small amount, and freshly washed pavement and siding can help make a home look revitalized. If you're limited on outdoor space or have no yard, add some color by creating a container garden. 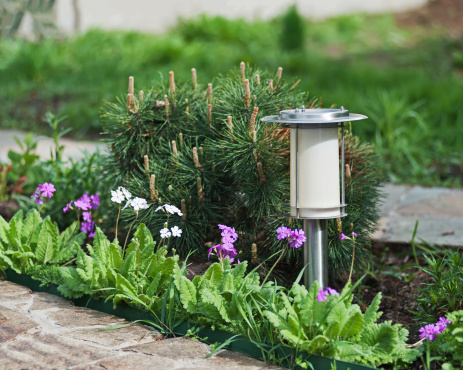 These small gardens are easy to maintain and can easily be transported to your new residence once the sale is finalized. 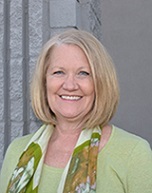 As a seller your top priority is getting the most out of your house -- concentrating on small and easy fixes that are budget friendly can really help give your house that pop so many buyers look for.